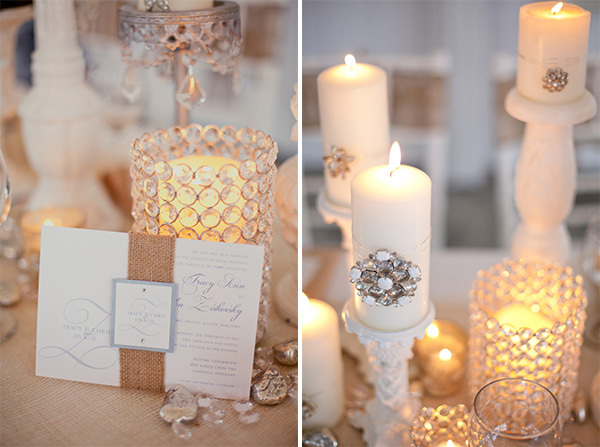 Love this inspirational shoot of Burlap & Bling! 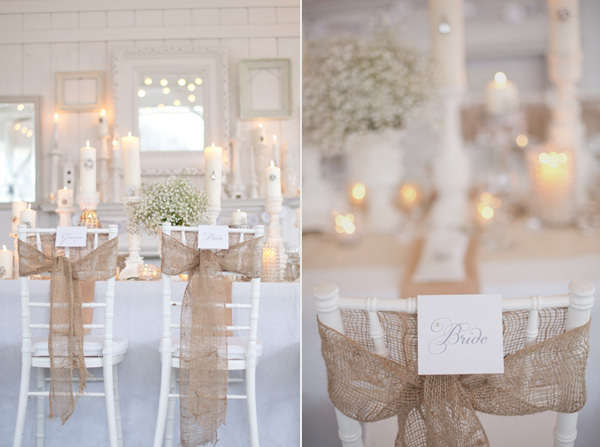 If you love the vintage look, this is a great way to make it more modern & elegant. 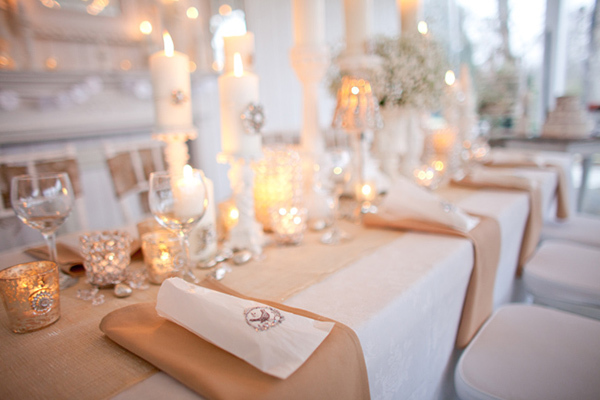 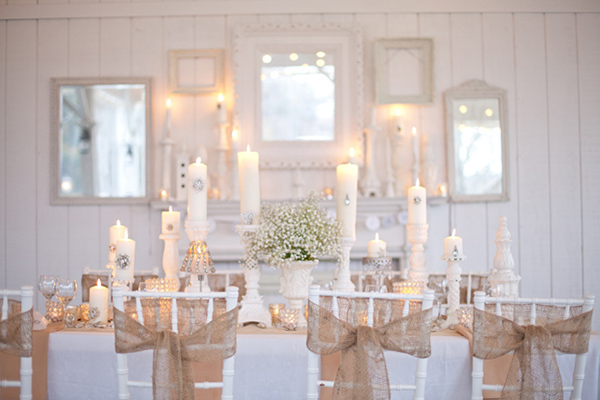 You simply can’t go wrong with beautiful white florals, candles & accessories with a touch of burlap. 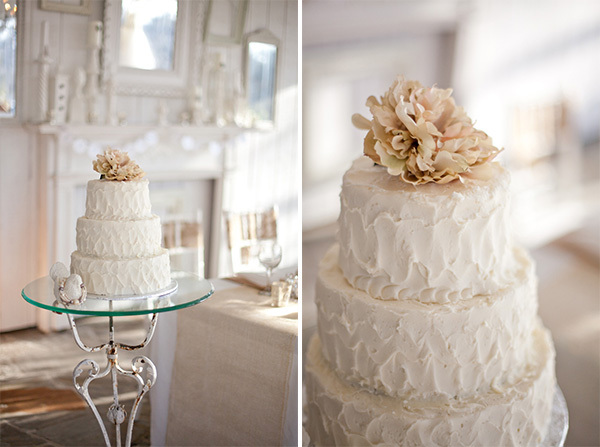 Enjoy these amazing images by Kristyn Hogan.